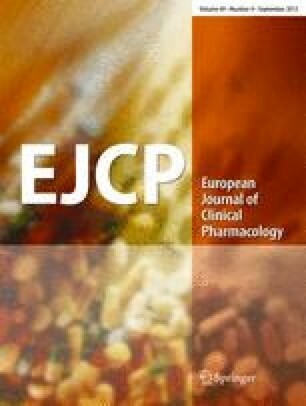 The pharmacokinetics of caffeine, including formation of its major metabolite paraxanthine in plasma, has been investigated in 12 healthy males (age 20–40 years) alone and during co-administration of the 4-quinolones ofloxacin, norfloxacin, pipemidic acid, ciprofloxacin, and enoxacin; ciprofloxacin and enoxacin were given in 3 different dose levels. The naphthyridine derivative enoxacin and the pyrido-pyrimidine derivative pipemidic acid had caused marked inhibition of caffeine and paraxanthine metabolism, whereas the genuine quinolone derivatives norfloxacin and ciprofloxacin had little effect, and the pyrido-benzoxacine derivative ofloxacin had no detectable effect. The different molecular and spatial structures of the compounds appear to be responsible for the differences in inhibitory potency.